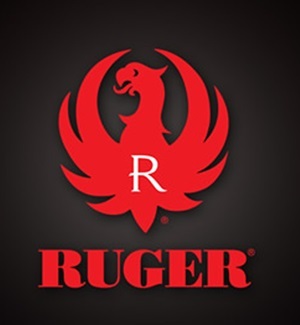 Sturm, Ruger & Company (RGR) has been making a bang lately on the market. A gun manufacturer since 1949, RGR is blowing away analysts EPS forecasts quarter after quarter. In fact, RGR has beaten the high end EPS estimates for 9 straight quarters with the last exceeding estimates by 35% reporting Q2 2013 of $1.63 per share vs. an estimate of $1.18 per share. With next Q3 2013 estimates at $1.46 per share it looks like it will become 10 quarters in a row. Considering the amount of institutional & mutual fund investor stock ownership (79%) I do find it astounding how many misses there have been. Some of the problem is that RGR provides no financial guidance and even points it out as item #3 in their Investment Community Communications (http://www.ruger.com/corporate/PDF/InvestorCommunicationPolicy.pdf). But one could argue that without the guidance analysts just aren’t doing their homework and are doing a disservice to both their companies and clients. On the dividend front RGR has been growing at just as a rapid pace as their earnings and the only downside is the limited history of consecutive years of growth which stands at just under 5 years. My normal criterion is at least 10 years of dividend history but for the potential of a high dividend growth it may be a risk worth taking. The 1 year dividend growth listed at 201% is actually deceiving. At the end of 2012 there was the high probability of the Bush Tax Cuts expiring sending taxable qualified dividends shooting up from a tax rate of 15% to as high as 39%. In response many companies issued special dividend to reward shareholders before the tax expired of which RGR issued a special dividend of $4.50 per share in Q4 2012. Luckily the 15% tax rate (for the most part) was retained. A deeper look in RGR’s dividend growth yielded something odd. RGR does not declare a fixed annual dividend rate payable each quarter and each quarter pays a different dividend amount. Instead it looks as though RGR has been trying to find a reasonable payout ratio and seems to have settled at ratio of around 40% for the last two years. By basing each quarterly dividend on a payout ratio of earnings would explain the fluctuations seen in dividend rates from quarter to quarter. What this translates into is that dividend payments are directly attributable to earnings growth so the better the company performs the better your dividend and vice-versa. To determine if the dividend growth is sustainable we need to analyze earnings growth. Earnings from 2009 to 2012 have seen noticeable earning jumps but there is caution to 2012 earnings. In the last quarter of 2012 the terrible massacre of children occurred in Newton, Connecticut. This event spurred a national debate on tightening gun control laws and in turn caused a rush of existing gun owners to purchase guns before new laws were enacted. Even the CEO of RGR attributed the large bump in Q4 sales to this phenomenon in their 2012 annual report. Looking further into the 2012 annual report there was another figure that was quite interesting, $427.1M in order backlogs and for the year they only processed $369.6M in orders. Going into 2013 the rush for gun orders continued to over flow into Q1 and Q2 numbers further expanding their backlog to $590M. The National Instant Check System (NICS) used for background checks has become a good leading indicator into gun sales. In July the FBI reported 1.284 million NICS checks, a decrease year over year as July 2012 had 1.301 million and is a good signal that gun demand is starting to wane. Sifting through 2013 Q1 & Q2 sales numbers an interesting statistic that jumps out is that 31% of sales is for brand new models. RGR has been aggressively increasing R&D spending at a rate that almost doubled in three years and is starting to see a payoff in sales. In August 2013, the company announced its plans to expand manufacturing capacity by opening a new facility in Mayodan, North Carolina. Interestingly this new facility will not be used to help reduce the existing order backlog but will only produce new products not yet announced and the company expects the new facility to begin producing in early 2014. This is actually a very smart and conservative approach as the company will only be investing in new machinery & tooling in one facility instead of duplicating machinery & tooling used for existing product lines at their New Hampshire and Arizona facilities allowing then to work down the backlog while the NC plant handles new incoming orders. There will be some cost deferred with the opening of the NC facility. The state of North Carolina is providing $9M in incentives and the town of Mayodan & Rockingham County are currently considering another $1.7M in local tax incentives over a period of 14 years. With no debt and high gross profit margins I expected a current ratio greater than 2.5. I credit the significant drop in 2012 to the Q4 2012 special dividend of $4.50 a share which siphoned off cash from the books thus lowering the ratio. With the NC facility investment I see this as a slight drag on the 2013 current ratio but still higher than 2012 and a slow and steady return to a normal ratio for a company with no long term debt. Looking at the recent stock price of approximately $52 per share it carries a trailing P/E of 11.09 and a forward P/E of 14.96. The 5 year average P/E has been 12.78 so the current stock price looks to be appropriately valued but it looks like it is underestimated for 2014 as analysts do not seem to be taking into account the significant backlog of orders. I’d expect 2014 earnings to be in line with 2013 keeping the dividend yield at 5% but because of the nature of the earnings growth I would discount it and treat it more like 3.5% and plan year over year growth from the discount which I would expect the yield to return to in 2015. In summary, I consider the 5% yield a temporary anomaly and for future growth I’m using a base 3.5% rate with a 10% per year growth. The company has strengths in gross profit margins and no long term debt. For weaknesses there is lack of long term consistent dividend growth and significant drop in current ratio. As long as the company continues to aggressively increase R&D funding and increases its cash position I would consider this a worthy investment in lieu of the risks and would be a buyer at current price levels and an aggressive buyer if share price drops below $49 per share.